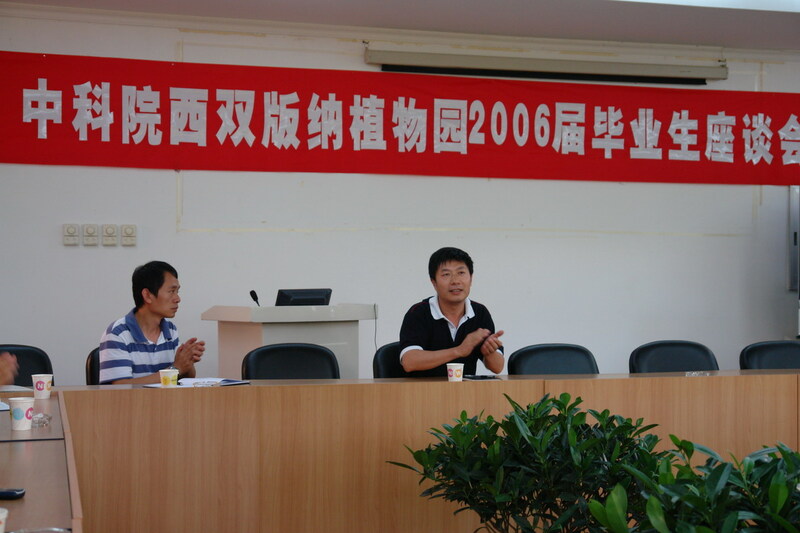 On July 3, the graduates of 2006 gathered together with their supervisors at the headquarters of XTBG, Menglun, to commemorate their achievements in the Garden. On behalf of the Garden, Prof. Chen Jin, director of XTBG, congratulated the graduates on their accomplishments while here. XTBG acknowledged their achievements and contributions to the Garden. The participating students expressed affection to the Garden and gratitude to their teachers. The supervisors conveyed their congratulations and best wishes to the graduates. 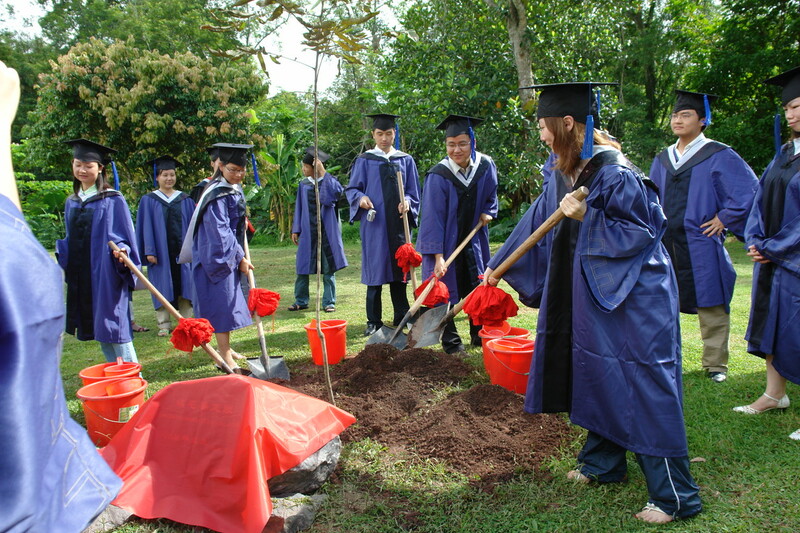 To memorize their life in XTBG, all the graduates planted a tree, Pometia tomentosa, in front of their apartment, which is very meaning both to the Garden and the graduates themselves. 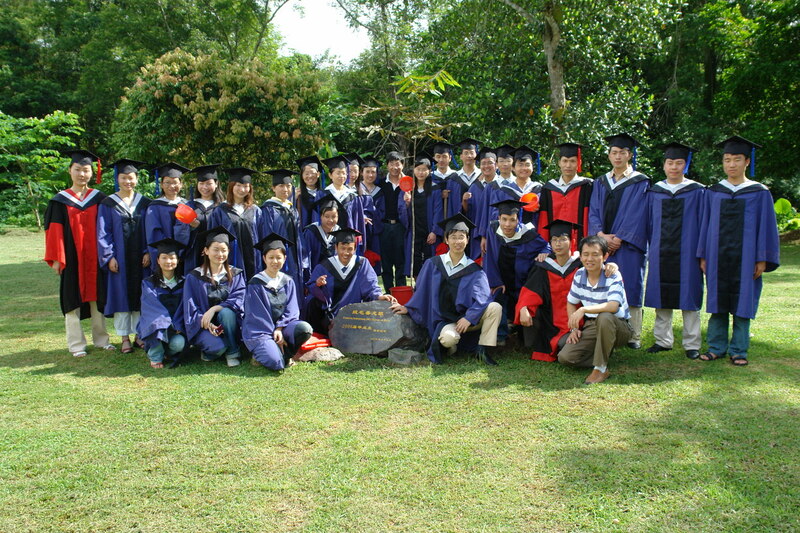 A farewell party was held in the tropical rainforest within the Garden. It’s their last time to enjoy the performances by local girls of the Dai ethnic group. The graduate appreciated the party very much. They expressed their feelings by singing to their heart’s content.